IKO Armourplan PVC membrane is robust enough to withstand light foot traffic for normal roof inspections, which should be carried out at least twice a year. Care should be taken when walking over any areas that may suffer from some water retention as there could be a build-up of silt which is likely o present a slip hazard. To reduce such risks or where the anticipated foot traffic is likely to be heavier it would be advisable to employ a separate walkway system, this may take the form of a proprietary walkway, (laid on a reinforcing plate where heavier traffic can be expected) or paving slabs on proprietary supports. “All materials developed for single ply roofs are capable of withstanding occasional, light, foot traffic for inspection purposes. Where walkways are to be provided for servicing roof top equipment, the obvious direct route should be protected since this is the route that will be taken. The route should be well clear of areas which might be prone to temporary ponding and be finished with a non-slip surface. A handrail or fall arrest system may be an additional requirement. The membrane and insulation manufacturers should be consulted for advice on supplementary load-spreading sheets below the waterproofing where traffic is frequent. • The distribution of roof access points and the effect of repeated loads on the system at the stepping on/off location. • Load-spreading protection will usually be required. The most effective protection is timber panels such as plywood or oriented strand board with taped or linked joints, laid on a geotextile fleece. 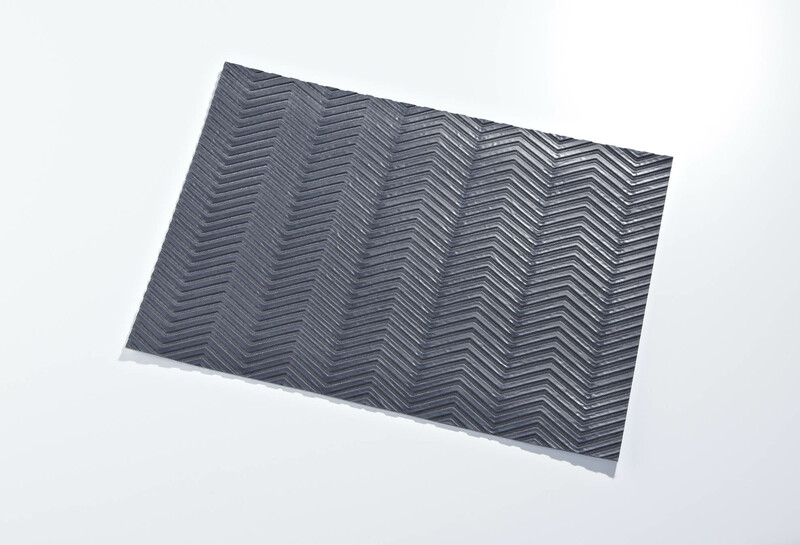 Re-usable, rolled reinforced mats are available and are recommended since they reduce waste and cost but their suitability/ compatibility should be checked with the membrane manufacturer. • The location of plant and the provision of heavy-duty walkway sheets to protect the waterproof membrane.